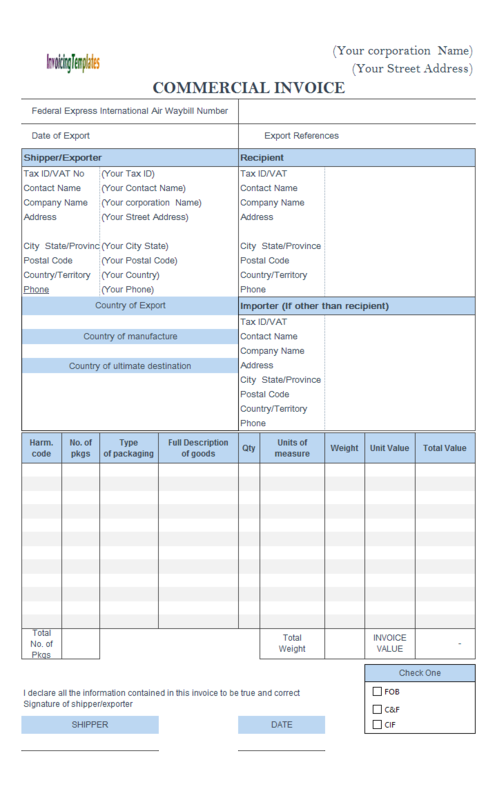 How to fill out a commercial invoice for international shipping? 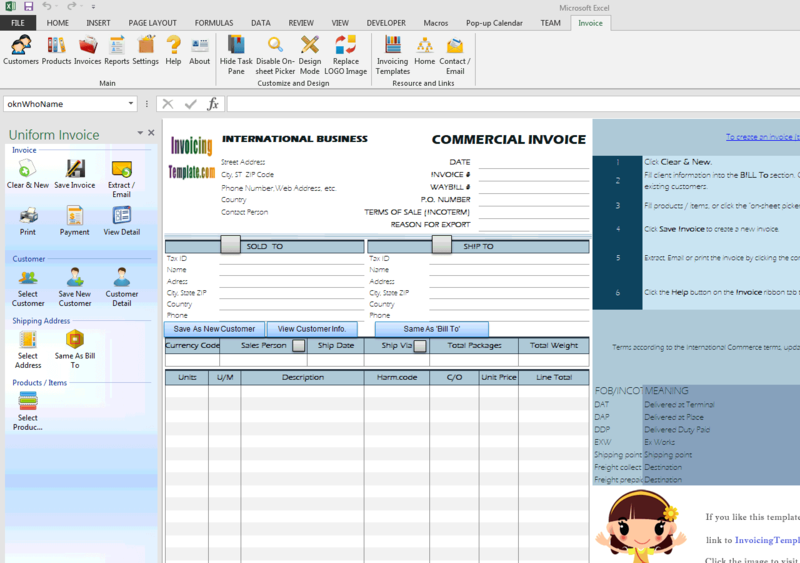 It is easy with our free editable template in Excel. 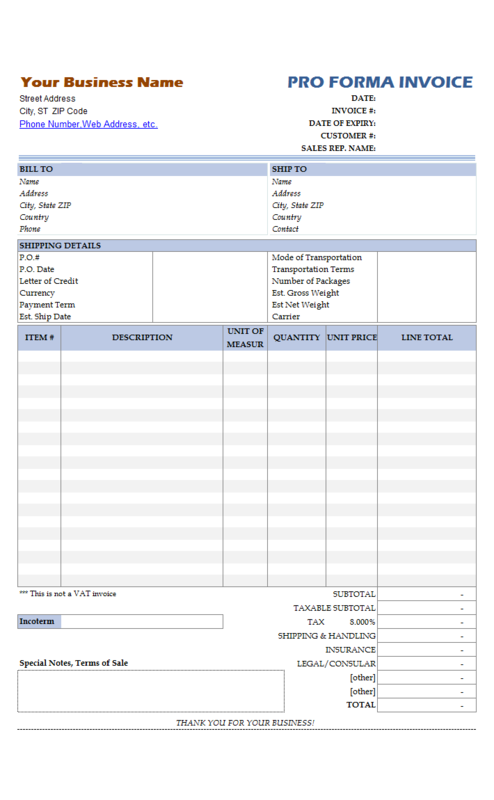 This commercial invoice for international shipping is a revisited version of c7015, but added a watermark image to express the idea of shipping worldwide. 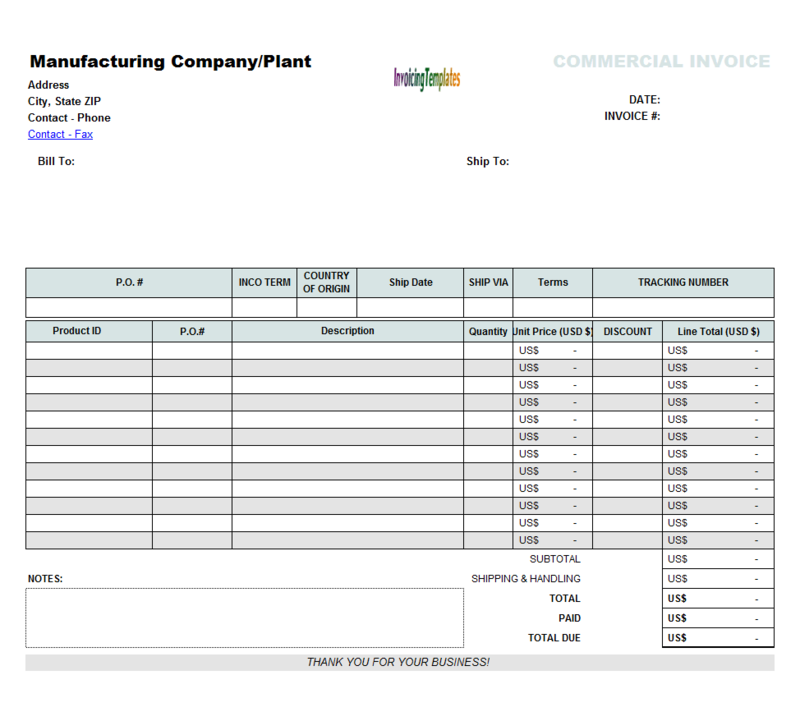 c7037 now includes the customized invoice template for the latest version of Invoice Manager for Excel. 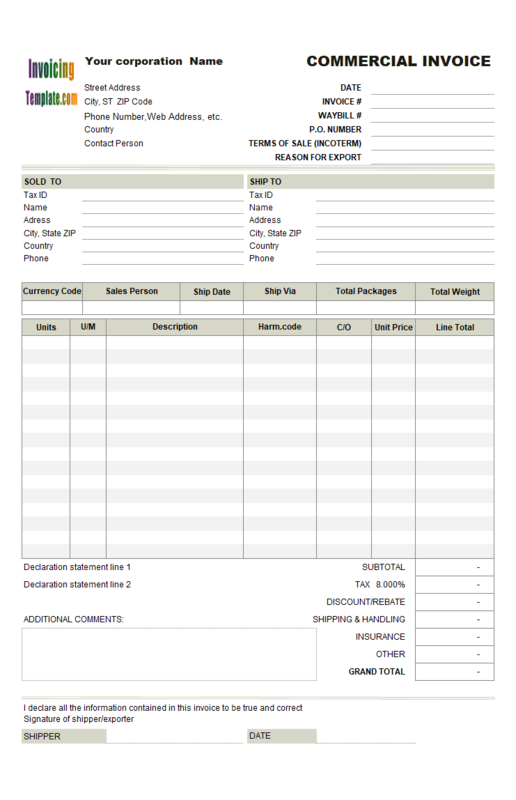 This is what you will see when you open commercial-invoice-for-international-shipping.xlsx. 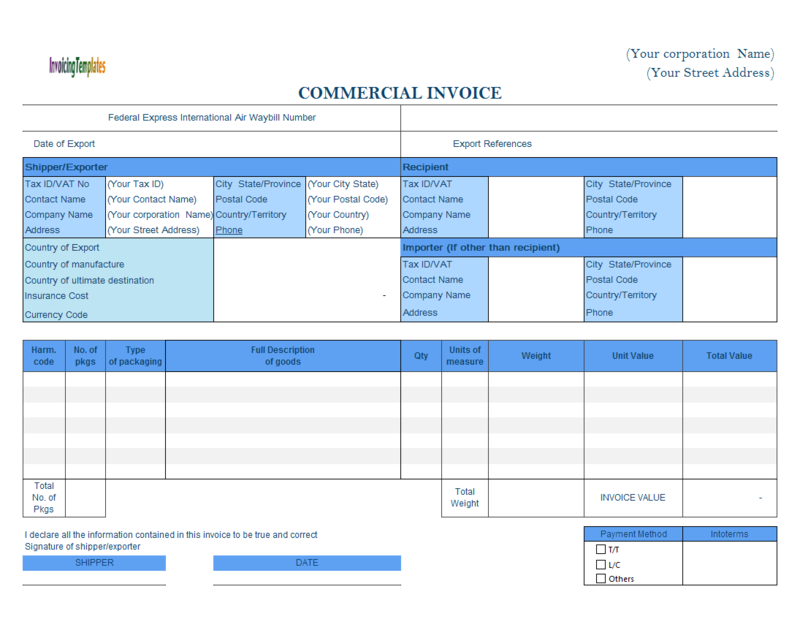 By installing Invoice Manager for Excel (namely Uniform Invoice Software), this pure-Excel spreadsheet commercial invoice format could be a complete invoicing tool for customs declaration. 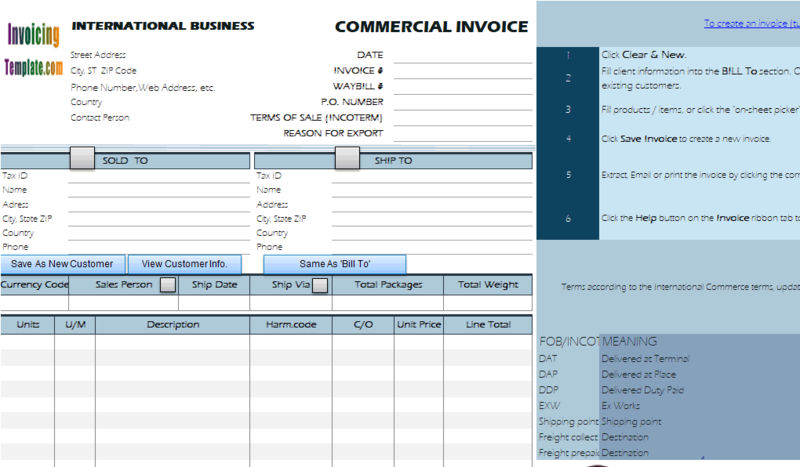 The international shipping companies have their own styles too, we've even created some of the layouts in editable Microsoft Excel format. For example, here you can find the UPS Style, FedEx Style, FedEx Style (Landscape). 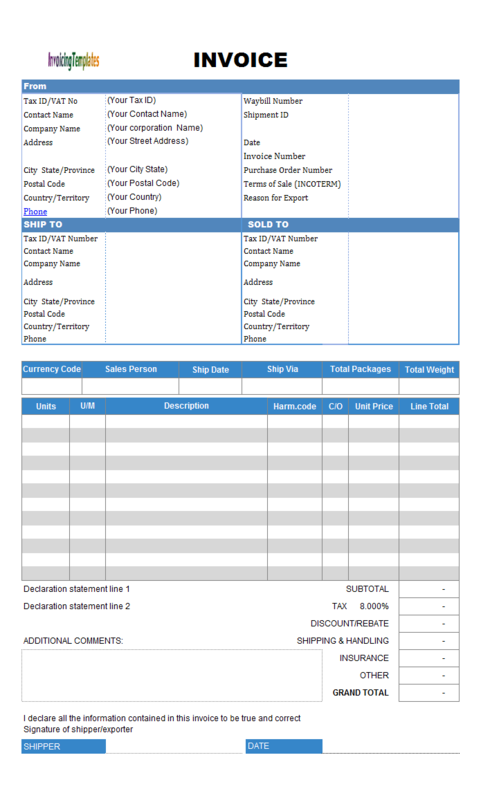 To find more sample templates for customs and foreign trade, visit our commercial invoice templates. 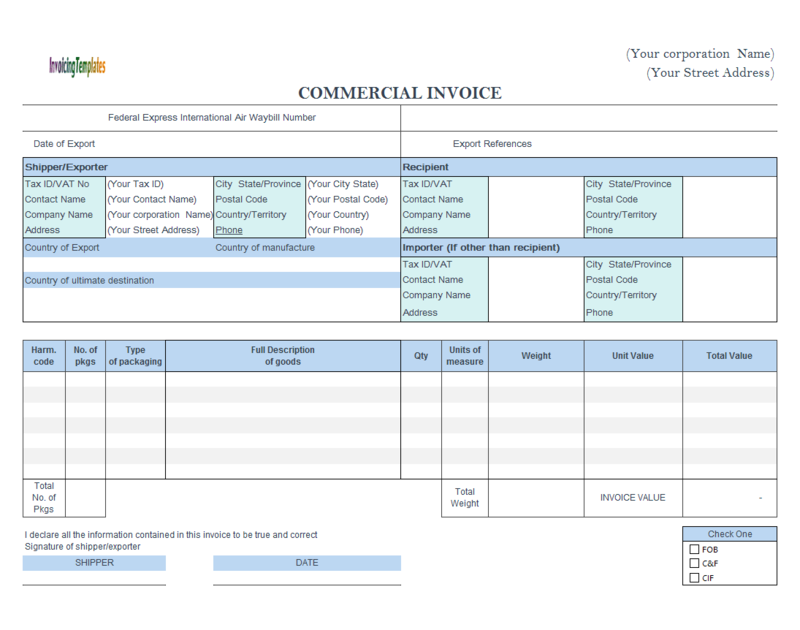 All templates downloadable here on InvoicingTemplate.com are compatible with Invoice Manager for Excel (namely Uniform Invoice Software). 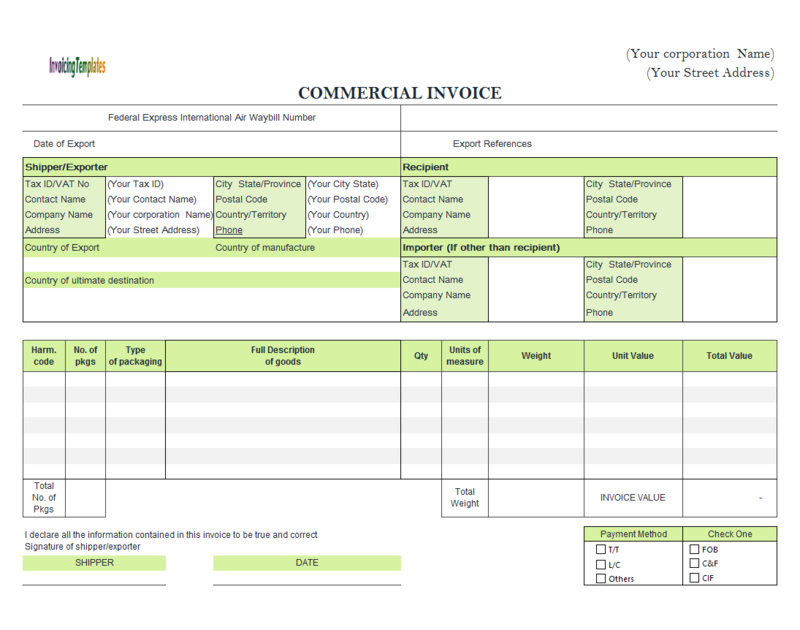 If you need more, try to visit Commercial Invoice Forms & Templates and Commercial Invoice Sample. 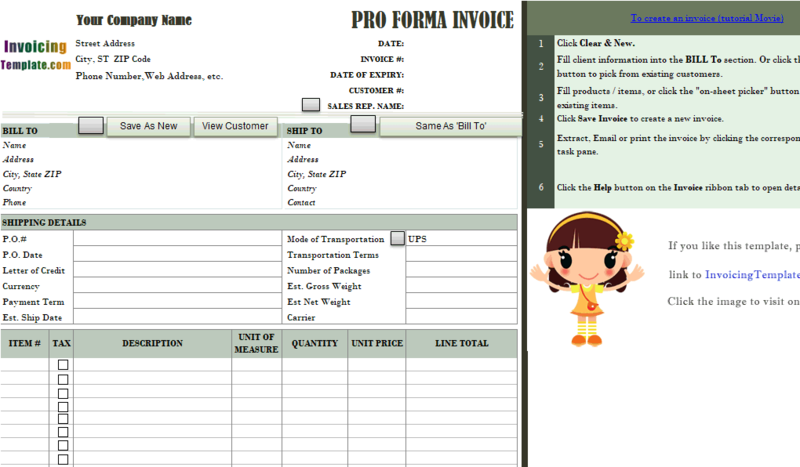 Note that these templates built by third parties are not designed for Invoice Manager for Excel (namely Uniform Invoice Software). 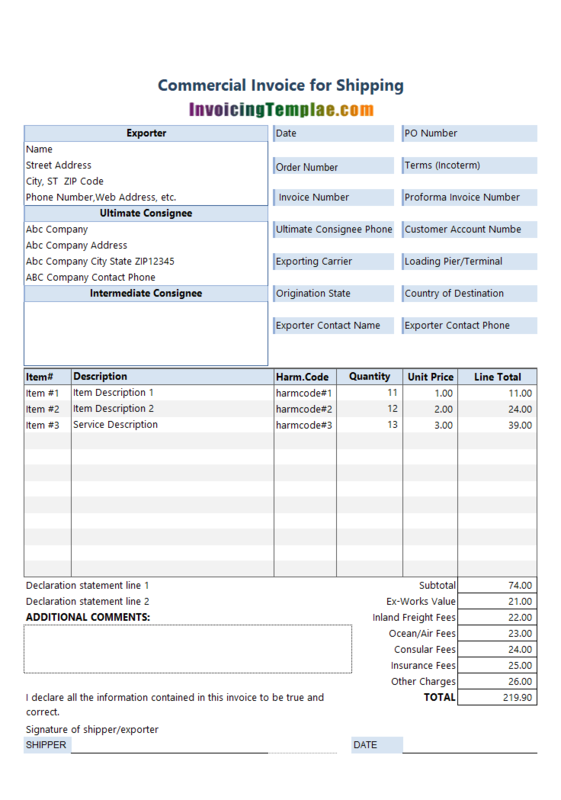 So you will not be able to use the advanced features offered by our invoicing program, such as automatic invoice numbering, tracking of invoice and payments. 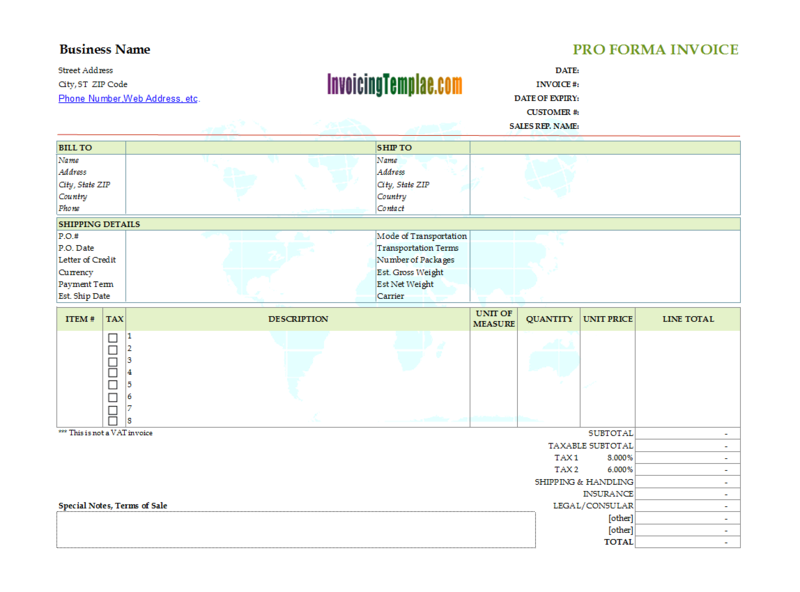 Adapting third party templates for worldwide shipping to use with Invoice Manager for Excel (namely Uniform Invoice Software) is possible, but time-consuming. 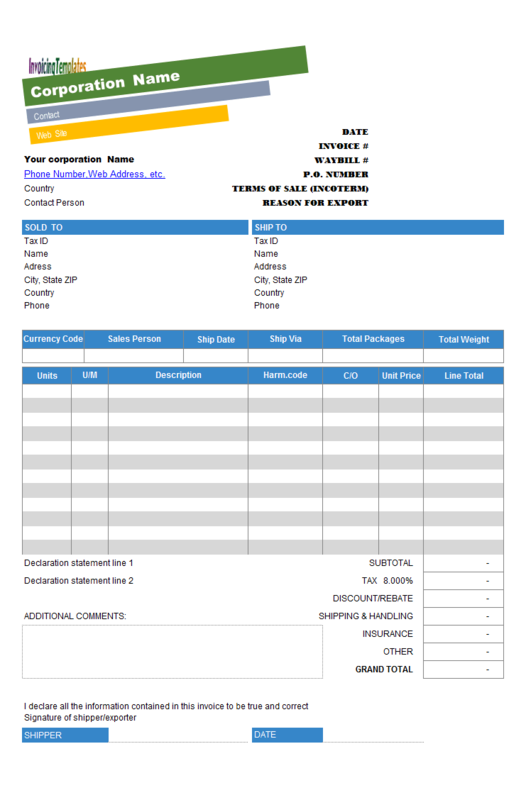 You can find a practical example here at Simple Sample - Building & Remodeling Invoice. 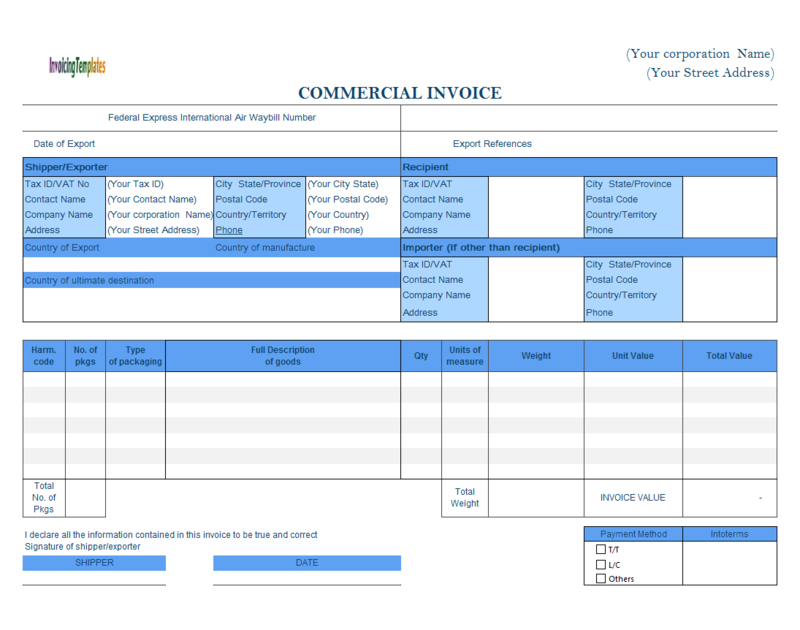 Like other form designs here on InvoicingTemplate.com, Commercial Invoice Template for International Shipping in Excel is free (offered to you at a price of 0.00USD). It works on Windows XP and all newer versions of Windows, and Excel 2007, 2010, 2013 or 2016.